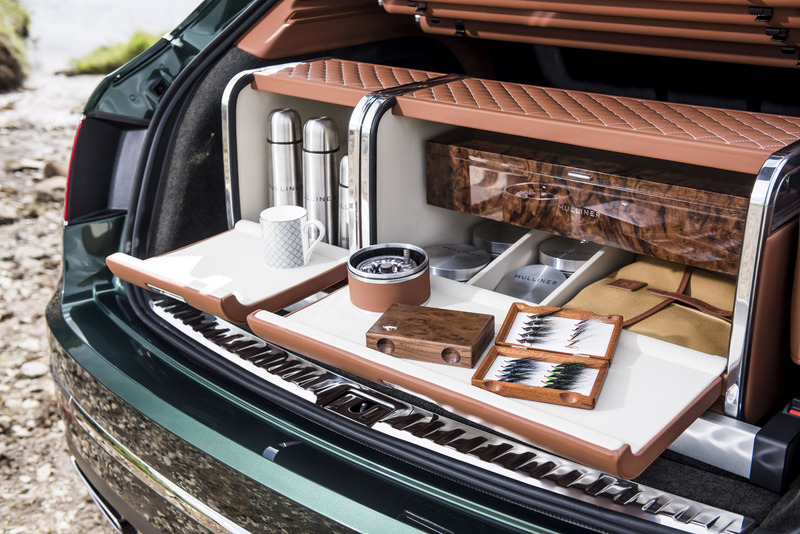 when it coined its Bentayga Mulliner “The Ultimate Luxury SUV”, a “flagship model” that sets “new standards in automotive luxury” at its Geneva auto show introduction. 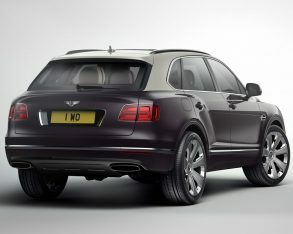 accoutered, and therefore is now doing the same for Crewe’s first-ever SUV. 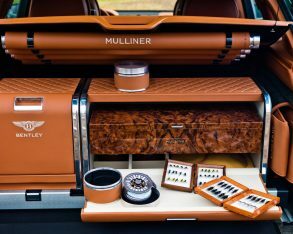 The new Bentayga Mulliner will likely become the rarest of SUVs to ever roam the wild, although we’ll need to substantiate that detail after finding out exactly how many limited editions will be built (the 328 or so 1986–1993 Lamborghini LM002s might prove fewer, not to mention the sprinkling of 1985-2003 Rayton-Fissore Magnum/Laforza SUVs, although the latter had more to do with a lack of interest; ditto for the Russian-built Dartz Kombat and South African-sourced Paramount Marauder). 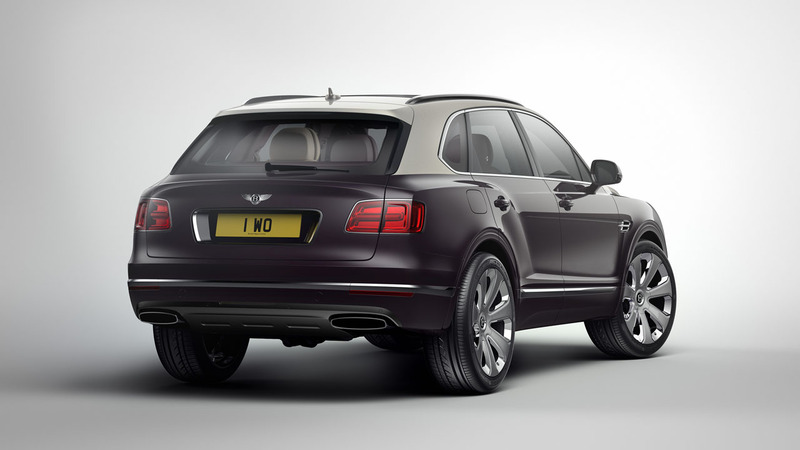 unique 22-inch Paragon alloys with floating wheel centres, a variety of solid or two-tone paint schemes, yet more exclusive exterior trim including bright chromed lower front fascia grilles, body-coloured lower panels, and unique “MULLINER” exterior badging grafted onto the stylized “B” front fender vents, as well as LED welcome lights that project a Bentley logo on the ground when approaching, illuminated “Mulliner” logos on the otherwise metal doorsills, customizable “My Mood” ambient LED lighting in 15 colours, a four-seat layout with psuede alcantara pillows at each position plus 18-way power-adjustable second-row captain’s chairs boasting heat, cooling and massage functions, a fully featured centre console between the rear passengers, a wrap-around bulkhead separating rear passengers from cargo, plus more. 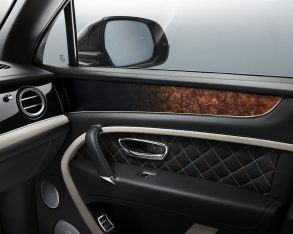 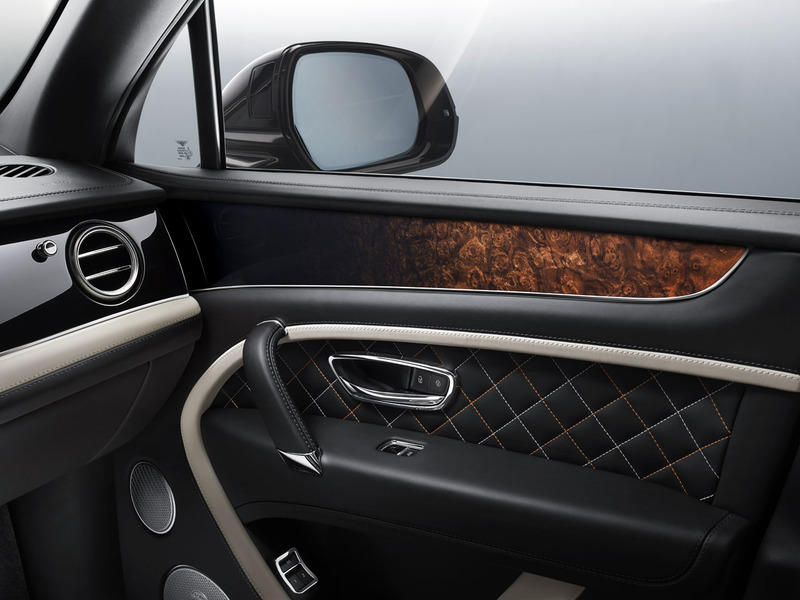 special one-off model on Bentley’s Geneva show stand included new Duo Tone paintwork, a first for the Bentayga which will be available across the entire model line starting April, while this unique Mulliner edition’s interior featured gorgeous piano black lacquered veneer inlays that seamlessly blend into exclusive Ombré Burr Walnut as they flow rearward into the cabin. 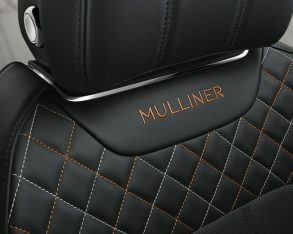 Additionally, baby blue and cream thread was used for the hand-stitched diamond-quilted leather upholstery that was colour-split with black up front and cream white in back, while blue “MULLINER” logos were embroidered into all four seat uppers (orange stitching is shown in the press photos, and you can no doubt get bright yellow-green or even fuchsia if willing to pay the price; Bentley suggests seven tasteful “colour ways”), while last but hardly least a special Mulliner Bottle Cooler came fitted within the aforementioned rear console featuring glass holders adorned with two handcrafted Cumbria Crystal champagne flutes as well as an illuminated chilling cabinet just behind. 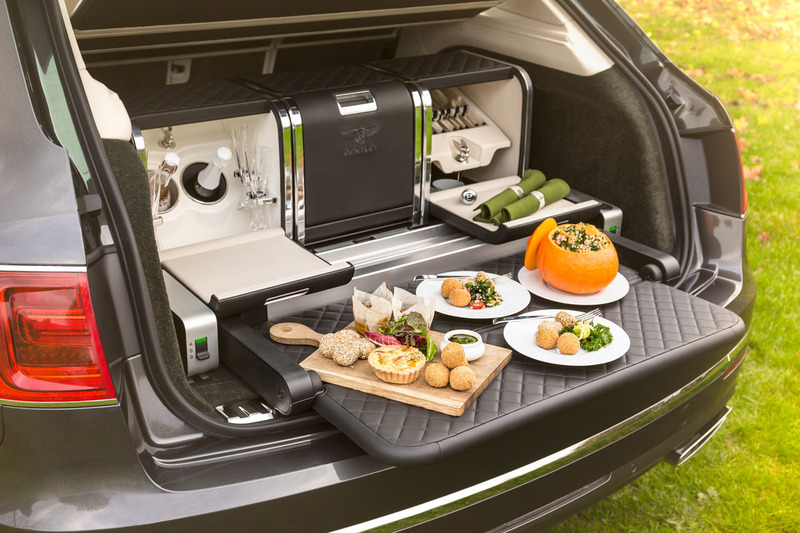 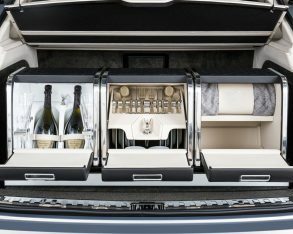 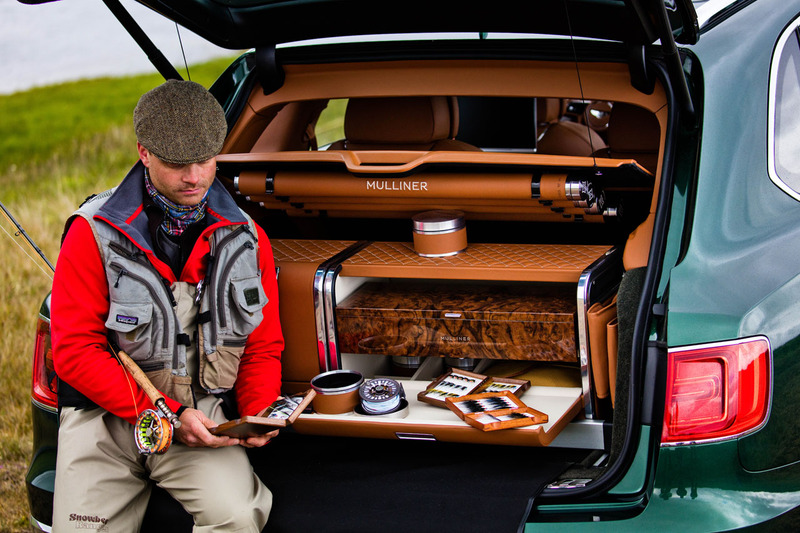 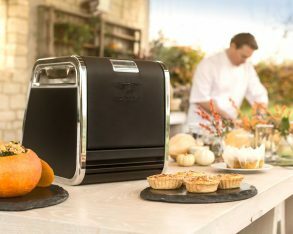 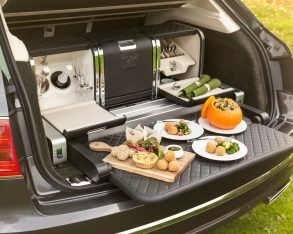 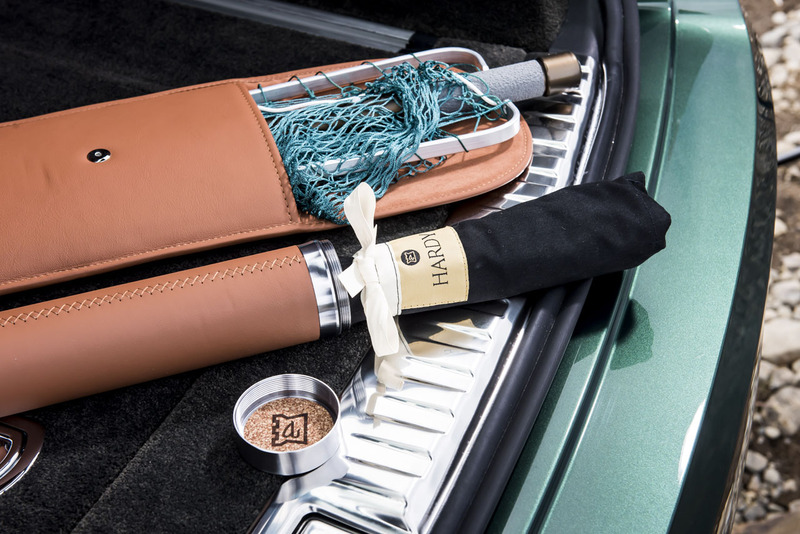 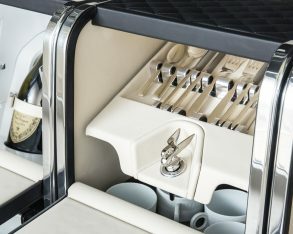 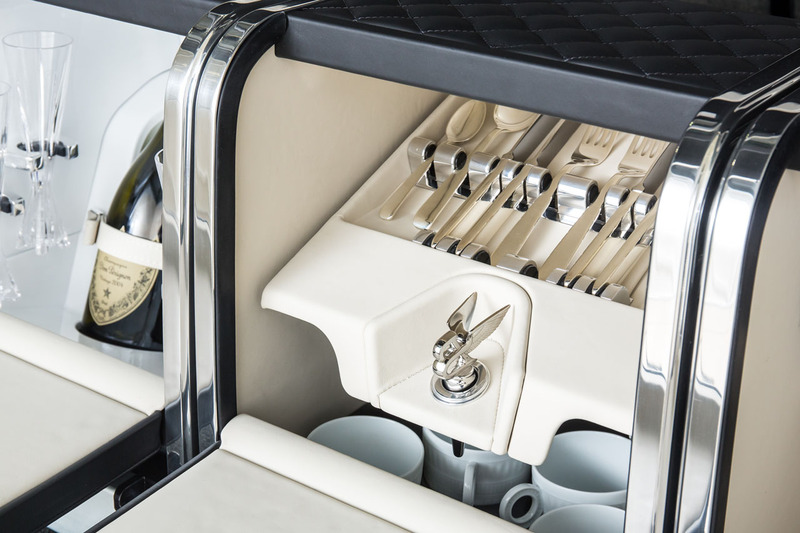 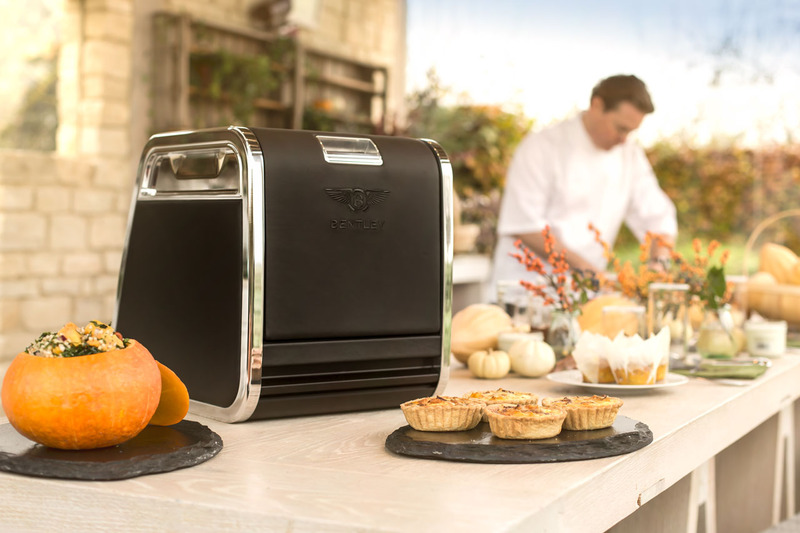 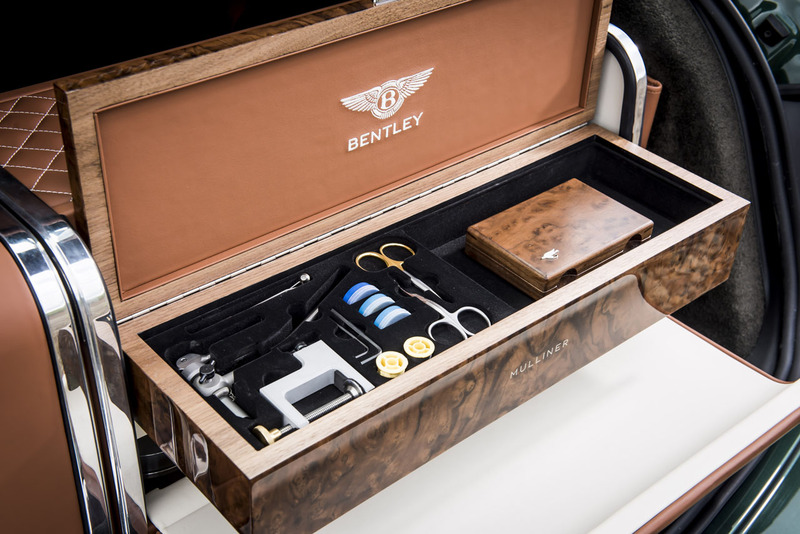 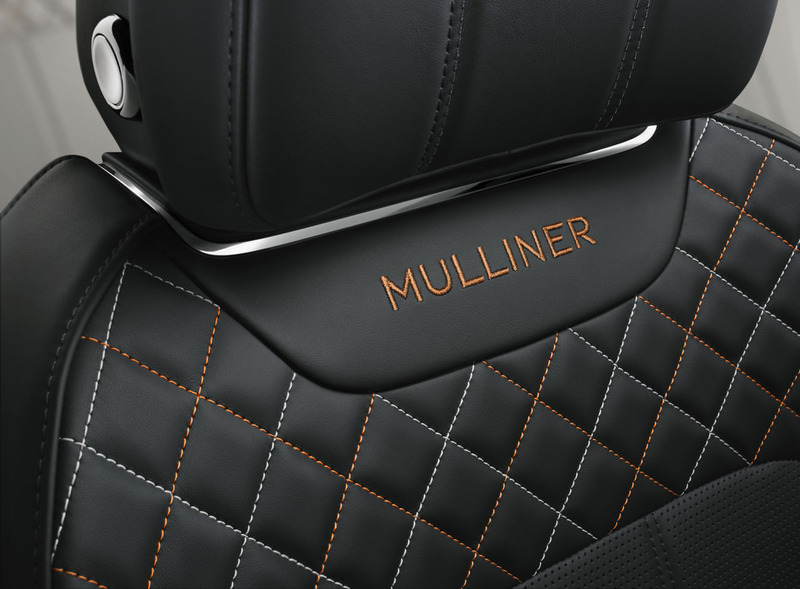 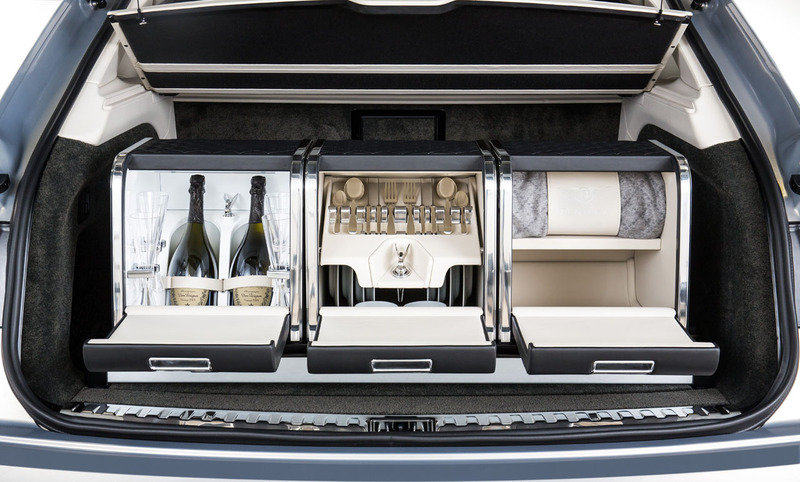 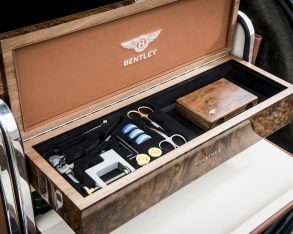 notable, the Bentayga Mulliner show model came equipped with a picnic set dubbed the Linley Hamper that was first offered as an accessory last year, which includes three large leather-clad cabinets designed to precisely fit within the cargo compartment, one refrigerated with four champagne flutes and two wine/champagne bottle holders, the second filled with Linley silver cutlery and china (coffee cups included, necessary after all that champagne), and another meant for linens that simply had a rolled blanket inside. 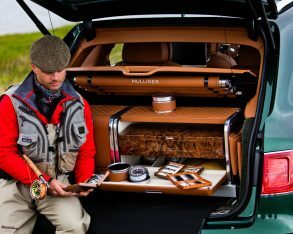 These hampers are removable to be used as seats around the campfire too, although wayward sparks may cause them to lose their lustre. 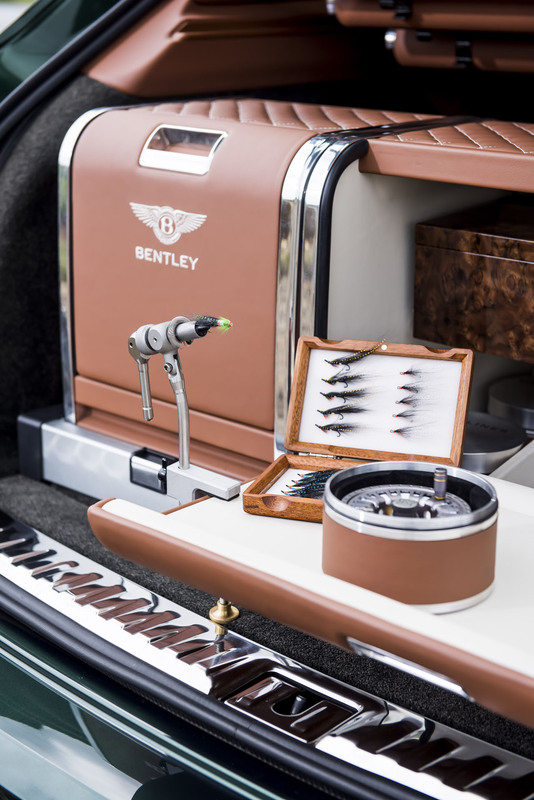 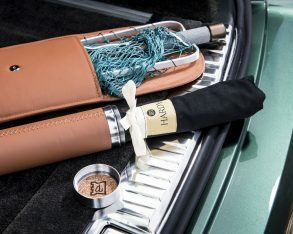 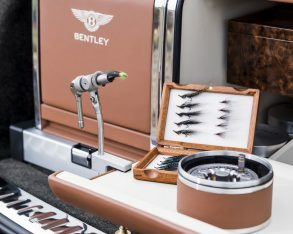 a fly fisher could require housed within three saddle leather-trimmed trunks of which one is waterproofed for stowing wet clothing, the latter also included; while horology fans can opt for an exquisitely handcrafted Breitling Mulliner Tourbillon dash clock available for a cool £110,000 sterling, which converted to $180,351 CAD at the time of writing. 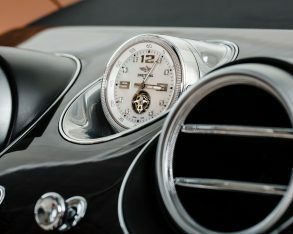 The tourbillon is amongst the most intricate mechanical watch complications ever created, the entire movement comprising 196 individual components including an automatic pendulum winder, while the dial, which is decorated with eight diamond indexes, can be had in mother-of-pearl or black ebony, and casing in solid yellow, white or rose gold. 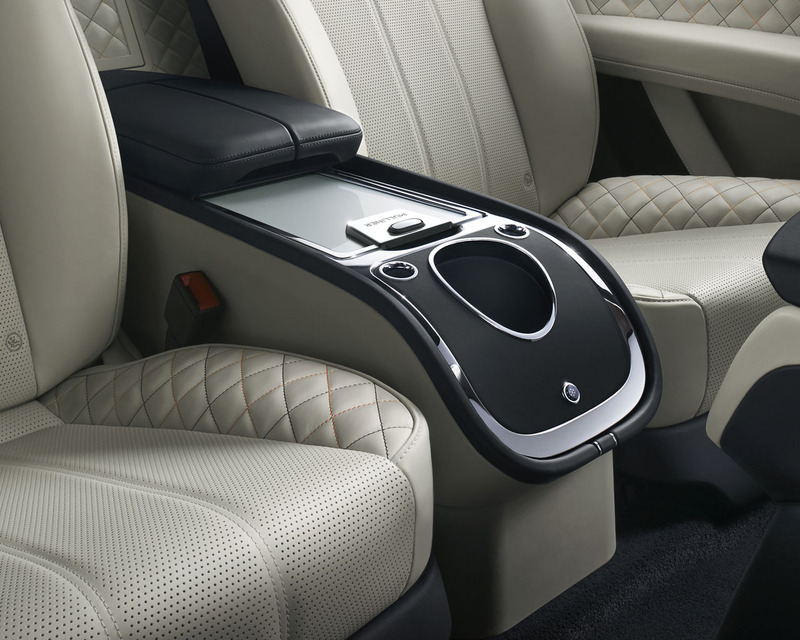 incorporate a comprehensive suite of standard driver assistance features such as adaptive cruise control, self-parking, lane assist, traffic assist, night vision, and a head-up display. 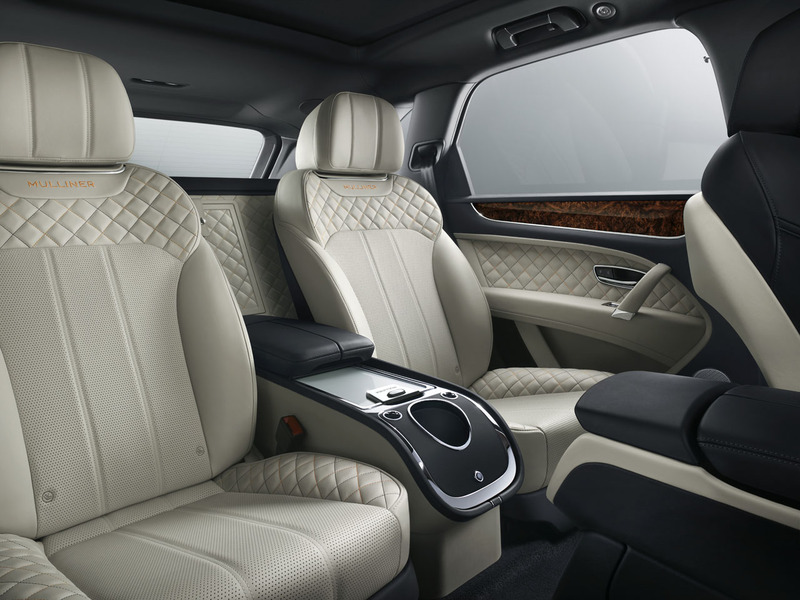 Audiophiles needn’t worry about enhancing sound quality, as all Bentayga Mulliner editions will be fitted with the model’s best 1,950-watt Naim audio system with a 21-channel amplifier, while a remote-controlled parking heater function is also standard, allowing a heated or cooled interior when the engine is turned off. 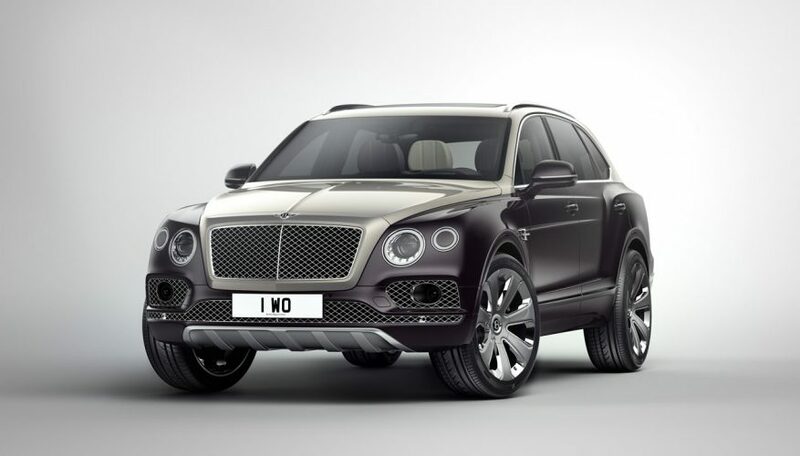 while the diesel won’t likely be sold into our market at all), the Bentayga Mulliner is infused with Bentley’s top-tier twin-turbocharged 6.0-litre W12 engine boasting 608 horsepower and 663 lb-ft of torque for a 4.1-second sprint to 100km/h and a top speed of 301 km/h (187 mph), which while seemingly unfathomable for such a substantive SUV is nevertheless standard Bentayga fare, as is its claim to fastest production SUV on the planet. 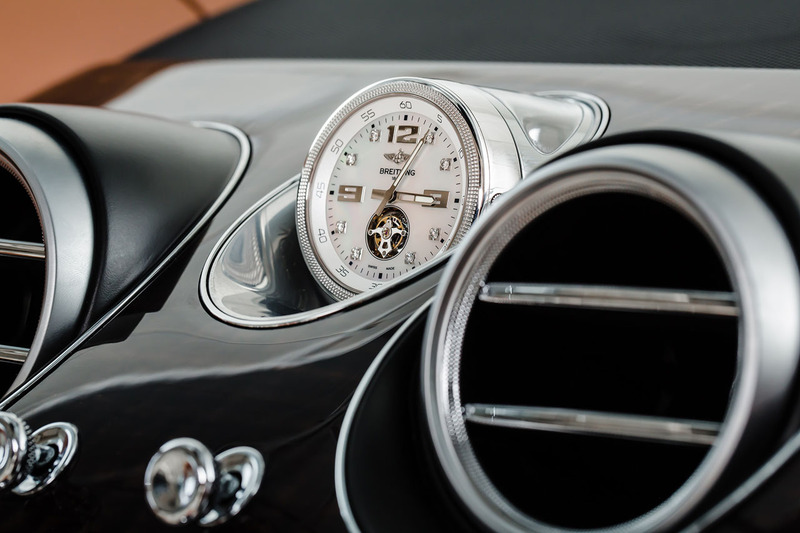 Speed without control is plain dangerous, so the Bentayga Mulliner benefits from Bentley’s Dynamic Ride, the industry-first adaptive and reactive roll control technology utilizing 48 volts to constantly counteract lateral rolling forces during aggressive cornering and therefore ensure maximum tire patch contact for class-leading stability, ride comfort, and unmatched road-holding characteristics. 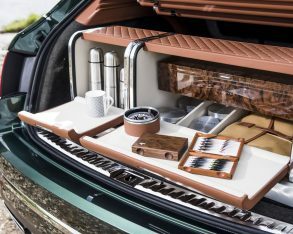 As noted earlier, this very special new flagship SUV will be available to order this spring, so make sure you get the jump on your friends by calling your local Bentley dealer today. 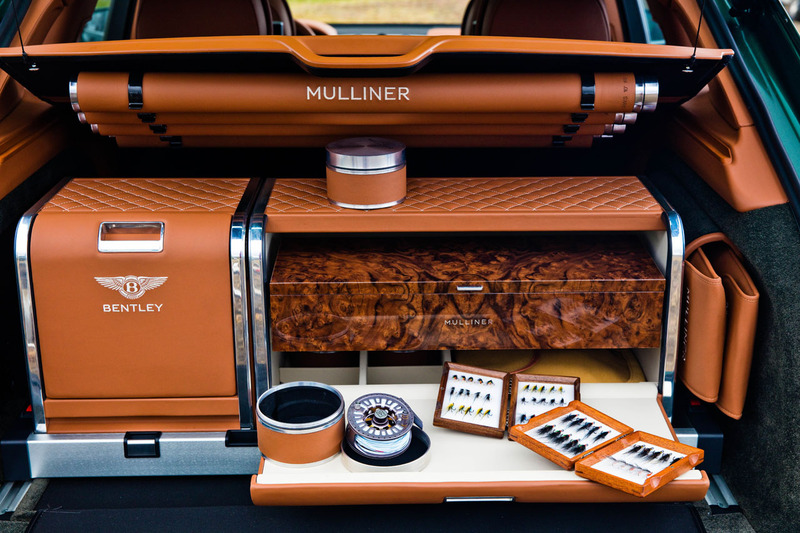 On that note, pricing will vary due to the model’s bespoke personalization, but no matter how you outfit the new Bentayga Mulliner it will cost considerably more than the model’s current $266,090 base price.